Belgium may be best known for fine shotguns, rich chocolate and tasty waffles, but for you and me, this quaint little country is the home of the world’s finest major-caliber battle rifle, the FN-FAL. Renowned throughout the world for its rugged reliability, the FAL was manufactured in 10 countries in its heyday and issued to over 70 armies, not to mention various irregulars and mercenaries (mercs). In fact, it was the FAL’s calling card as the weapon of mercs that gained it the most notoriety. Col. “Mad” Mike Hoare, an Irish-born World War II veteran who immigrated to South Africa and went on to become one of the Dark Continent’s most celebrated mercenaries, unwittingly did more to promote the legend of the FAL as the merc’s gun-of-choice when he led a daring hostage rescue mission into the Belgian Congo in 1964 and freed a group of Americans and Belgians. In the days following the raid, Mad Mike’s men held off the rebels long enough to evacuate over 1,800 European and American civilians. If the FAL, the “Fusil Automatique Legere,” was not famous before, it was now. The FAL is a .308 Win. 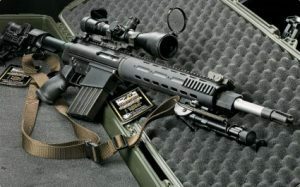 (7.62 x 51mm) gas-operated, short-stroke piston system, available in semiautomatic and automatic versions. The FAL’s standard payload is a 20-round detachable box magazine; 30-round magazines were also made for a squad automatic version of the FAL, but they’re not desirable due to their length and “spring issues” with the elongated box. The FAL came in four major versions. The best known by far was the FAL 50.00 standard model. It came with a 24-inch barrel. The next most popular was the Paratrooper version, the FAL 50.63, the same basic weapon except with a folding stock and a shortened 18-inch barrel. A standard 24-inch barrel with the Para’s folding stock was called the FAL 50.64. The rarest version of all was the FAL 50.41, a heavy-barreled model with a built-in bipod designed as a squad machinegun, sort of like the BAR. Not only did the FAL vary in cosmetics, but also the weapon remains a testimony to the conflict between the English and metric systems of measurements. There are two categories of FALs, “metric” and “inch” pattern guns, inch-pattern guns being made in former British colonies like Australia and Canada while metric-pattern guns were made in places like Brazil. And no, the parts don’t interchange. Worse yet, the magazines don’t interchange! Most metric-pattern FALs came in full-auto with fixed carrying handles, while inch-pattern FALs were predominantly semi-auto with folding carrying handles. Once again, exceptions are the rule, so you can’t simply glance at a FAL and decide from, say, the selector or the carrying handle whether it’s inch or metric. While we all love the M-14 (or the M1A in its civilian guise), the U.S. came within a cat’s whisker of adopting the FAL. In the early 1950s, there was world-wide clamor to upgrade all those “obsolete” battle rifles from World War II with more “modern” designs. Belgium’s Fabrique Nationale (FN) had the best candidate in the FAL, but the company had thrown its lot in with England to develop the weapon with what the Brits thought was the caliber of the future, an intermediate bore .280 (7 x 43mm). When the U.S. Army field-tested the FAL in the early ’50s, the die was already cast for the caliber choice, and that caliber would be the classic American bore size, from the Krag to the Springfield: .30 caliber. The new T65 round was the only thing the ordnance boys would consider—what we now call the .308 Win. or 7.62 NATO. Sensing the political wind, the Belgians redesigned the FAL to accommodate the 7.62 NATO with the first guns being ready in 1953. Ironically, Belgium wasn’t the first country to adopt the .308 FAL; Canada was, in 1955. Britain adopted the FAL as the L1A1 SLR in 1957. From there, the FAL gained steam quickly with Israel, Brazil, South Africa, West Germany, India and other countries adopting the FN design. Meanwhile, the U.S. settled on the M-14, a not unforgivable alternative. But with its conventional wooden stock and short-stroke, gas-rod system, the M-14 was really just a face-lifted Garand with a detachable box magazine. At the end of the day, the derivative M-14 was chosen over the innovative FAL, primarily for that oft-encountered reason, “not invented here.” The fact that it had a similar manual of arms to the Garand was cited as the putative reason for the adoption. First and foremost, the Belgian weapon features an adjustable gas system via a heavily knurled knob just behind the front sight. If the action is dirty or the soldier is fighting in a dusty, sandy, muddy environment, the gas regulator can be dialed up to give the bolt more oomph on its rearward travel. Additionally, the ergonomics of the FAL’s controls are much better than the M-14’s hard-to-reach and problem-prone control locations. I mean, whoever thought of putting the safety inside the trigger guard? John Garand, that’s who! The sights of the M-14 are much better than those of the FAL, but the variable configurations of the FAL, from its handy little Para to its heavy bipod light machinegun, more than offset that consideration. It wasn’t until after the turn of the century when Springfield Armory modernized the M-14 (M1A) with its SOCOM collapsible stock that the M-14 really caught up to the 50-year-old FAL. The bottom line is that if the U.S. had adopted the FAL in 1957 instead of the M-14, then we almost certainly never would have transitioned to the M-16, at least not as quickly as we did. 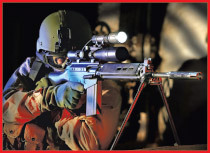 Tipping the scales at nearly 10 pounds, the FAL is an easy-shooting .308. Even the Para version at slightly over 8 pounds is soft on the shoulder. Recoil is not a problem. The Belgian battle rifle’s fire controls are, as we just noted, easily accessed and ergonomically positioned—for a right-hander. Like the M-16’s controls, they’re “right biased” with a down-for-fire thumb lever on the left side of the receiver. There is a prominent bolt knob, also on the left side of the receiver, although the Para’s knob is a spring-loaded, fold-down version. An easily grasped bolt knob is a really good idea on a military weapon because you need to be able to manually cycle the action in the event of a malfunction. On the other hand, the M-16’s magazine release is unquestionably better. The FAL’s mag-release button is directly in front of the trigger guard, somewhat obscured by the mag well itself. It’s not nearly as easy to reach as that of the M-16. The bolt release is even harder to access, tucked up inside the mag well. The M-16’s bolt release is comparatively a snap to operate. But wait. I seem to have subconsciously fallen into a comparison of the FAL’s controls with those of the M-16. It’s a hard trap to avoid because the FAL seems to relish being pitted against all comers, and certainly the M-16 is the standard by which all others are judged as of now. Getting back to shooting the FAL, the Belgian rifle is as accurate as its sights can hold (no gun can out-shoot its sights, except with dumb luck) and is easy to operate. Its reliability is exceeded only by that of the “Glock” of assault rifles, the AK47. All and all, the FAL is a thoroughly reliable, easy-to-shoot, hard-hitting battle rifle. 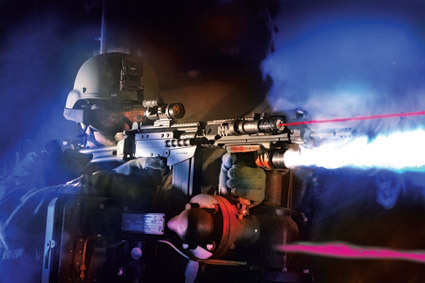 Soldiers will quickly tell you that a lot more time is spent carrying a rifle than shooting it, and this is one area where the FAL reigns supreme. The carrying handle may look just a bit odd, sort of like a bent coat hanger, but it is positioned exactly over the center of gravity and allows the rifle to be carried comfortably all day, then folded out of the way when not needed. Also, the forward sling-attachment point swivels, allowing for a wider range of sling options. This is not insignificant. The FAL is comparatively clean in operation owing to the self-contained gas piston system of operation. 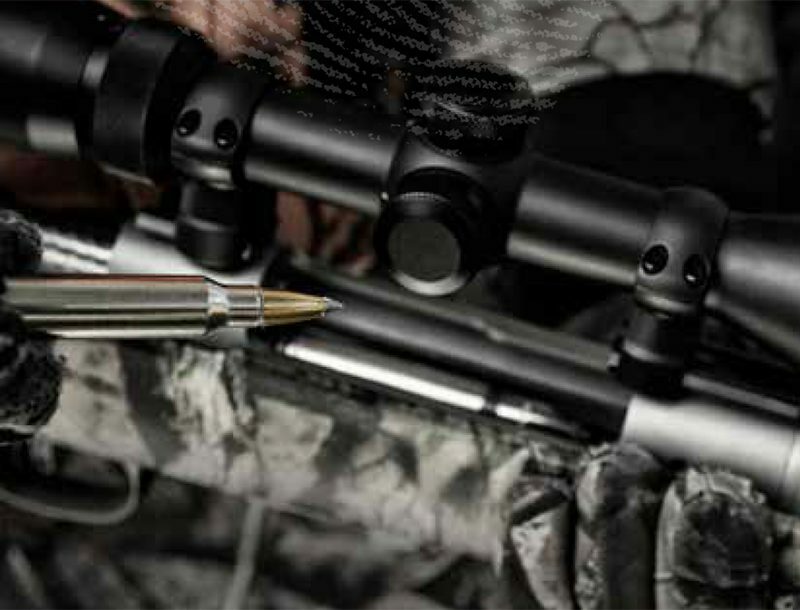 The M-16 with its direct gas-assisted action spews hot gas and fouling directly into the bolt raceway and carrier. Even animals know not to foul their nests! The FAL was once the most widely issued battle rifle to the armies of the West and their mercenaries, standing up against AK-armed, Soviet-backed rebels and guerillas the world over during the Cold War. In its prime stomping grounds of Africa, the Belgian FAL became the calling card of hard-core, hard-charging, hard-bitten fighting men. And it still is.